HauteResidence.com is celebrating a month-long global launch of their new website and Ugo Colombo is slated to speak about Miami at their East Coast event. 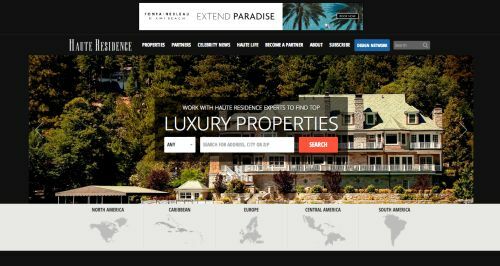 HauteResidence.com – an exclusive, membership-driven luxury real estate portal – provides homebuyers the opportunity to find their dream havens with the help of some of the world’s leading real estate professionals. The portal will feature one leading real estate agent in each top market across the globe. On Monday, October 6th, 2014, Haute Residence hosted a groundbreaking Real Estate Summit in Los Angeles. The following day welcomed a number of slated events including a symposium co-sponsored by Westime and Coldwell Banker International which was held at Soho House L.A. Topics of discussion included the difference between representing foreign versus local clientele, the impact of the Internet on the real estate industry, and the use of social media as a marketing tool. The second exciting roundtable that Haute Residence will be hosting this fall will take place in New York on October 21st at The Core Club in Manhattan. The event will be moderated by Fox Business Network and wil host Lifetime Achievement Award winner Richard LeFrak along with Ugo Colombo, Kevin Maloney, Edgardo Defortuna, and Don Peebles. This East Coast event will feature a candid discussion that will be centered upon the Miami lifestyle, investment opportunities, and the past, present, and future of the city’s real estate market. This entry was posted in News and tagged HauteResidence.com, Miami real estate, Ugo Colombo on October 15, 2014 by Ugo Colombo.